Every 3 Months at Oxygen, we run an important event called Testing Week. Testing Week gives an opportunity to assess your Strengths & Weaknesses, a Deadline Date that encourages everyone to take action, a long enough period to allow for significant Results, but a short enough timeframe to maintain Motivation. We test your Strength at a range of skills with both a Barbell & your Body Weight. We assess your Conditioning with a number of distances on the Rowing Machine. Lastly, we also assess Body Fat and a number of other important health indicators with an InBody Scan. We know from our years of experience if you focus on improving these measures, you will get leaner, stronger, more confident AND you will enjoy the process. We have a range of Challenges from Entry Level to Elite. They’re all 3 Months long and they start and end with Testing Week. Your Challenge is to meet certain Standards by the end of your 3 Months. To sweeten the deal even further, we’ll even give you significant discounts on your Membership Fees if you commit to one of our 3 Month Challenges. To keep you accountable, there’s also Penalties if you don’t hit certain standards you agreed to. 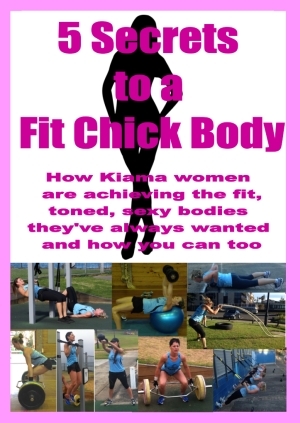 To find out more check out the Fit Chick Challenge (for Women) or Spartan Training Club Challenge (for Men).